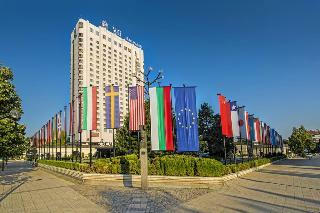 The Best Western Plus Expo Hotel is located only 4 minutes away from Sofia's International Airport. You can find it right in the heart of Bulgaria's capital Business District right and across Sofia’s leading International Exhibition center with direct access to the Metro line. We can offer every guest fully renovated luxurious guest rooms, equipped with HD TV and complimentary coffee or tea making facilities. 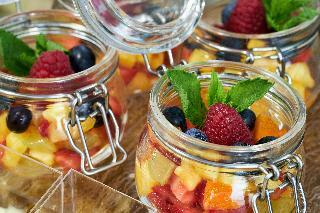 Enjoy our elegant restaurant or a relaxing sophisticated supper in the open-air summer garden. Our business guests can also find a fully equipped business corner, multi-functional meeting rooms and a state-of-art business lounge. All our guests can have free shuttle to the airport and free parking. The high level of quality and service, combined with the friendly atmosphere will make your stay unforgettable. Enjoy your stay. 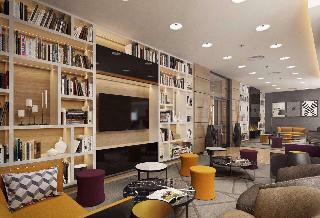 The brand new ibis hotel is ideally located just 500 m from Sofia Airport Center and 2 to 5 minutes driving to Megapark, European Trade Center, Interexpo Center and Arena Armeets hall. It is easily accessible by public transport - 1 minute walking distance to a bus and 1,6 km to metro station. With 84 standard Ibis rooms, a summer garden restaurant and 4 meeting rooms, free WiFi, business corner and office by day services, ibis hotel is perfect for business trips and a smart choice for weekend breaks. 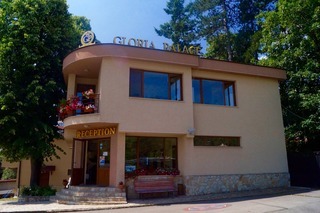 Hotel Europe is situated within walking distance of Tsarigradsko Shose Boulevard, the main connection between Sofia Airport and the city center, overlooking Vitosha Mountain and Central Park, also we are very close to the diplomatic quarter. Business offices, International Exhibition Centers, sport facilities, commercial streets, boutiques, and entertainment sites - collectively create an inviting atmosphere around the property. All rooms are fully equipped and most of them provide a panoramic view of Sofia. Enjoy the comfortable and relaxing atmosphere at the Lobby Bar sipping a glass of your favorite drink after a successful business day, or visit the Sky Bar, situated on the top floor where you can enjoy the breathtaking view of Sofia City as well as Vitosha Mountain. 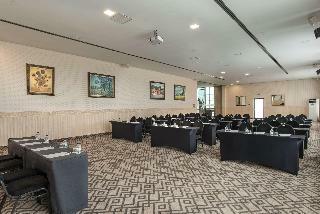 The hotel enjoys an ideal location in the city. 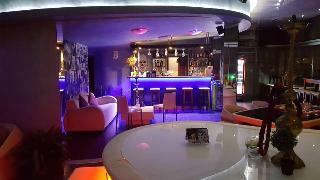 It lies at the centre of Sofia's commercial, financial, and cultural and entertainment centres and, spread over the area surrounding the hotel, guests will find plenty of shops, boutiques, cafes, discotheques and clubs. It is centrally located with both the Metro and taxis available nearby. The wonderful Alexander Nevsky Cathedral and the imposing Parliament building is directly opposite the hotel. 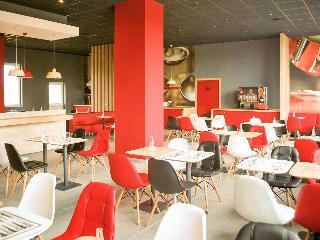 Renovated in 2010, this city hotel is ideal for business travellers and holidaymakers alike. Is the capital's ultimate luxury hotel. Take advantage of our landmark location within 20 minutes from the Airport and a stone's throw from Vitosha Boulevard, home to designer stores, boutiques and restaurants. Relax in one of our newly refurbished spacious rooms before treating yourself to an unforgettable dinner at the Sofia restaurant. 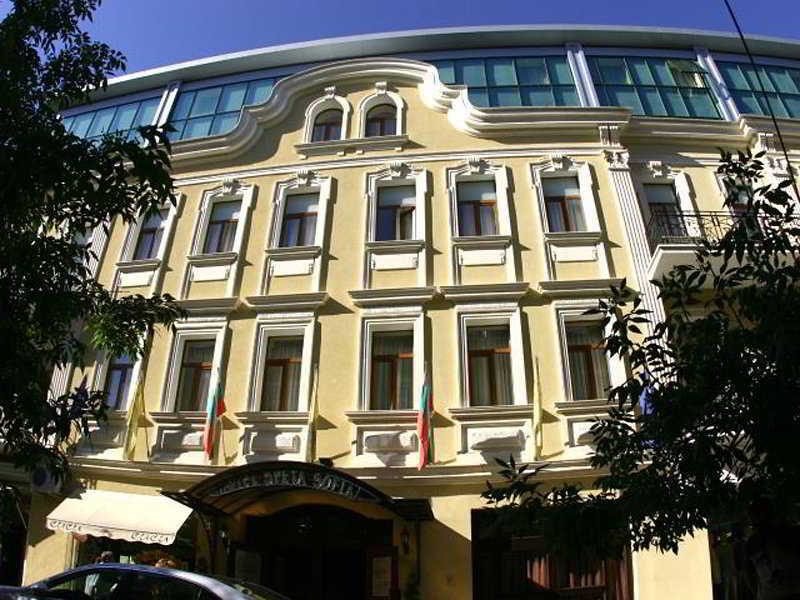 This hotel is centrally situated at the heart of the fabulous city of Sofia. Located on one of the main shopping streets, in only a number of minutes guests will reach shops, cultural venues and government buildings. This hotel is also not far from the Alexander Nevski Cathedral. Amongst the facilities count a currency exchange desk, a restaurant and a public Internet terminal. Those arriving by car may make use of the nearby hotel car park (fees apply). Room and laundry services are also available on offer. The en suite rooms are modern and come fully – equipped as standard. 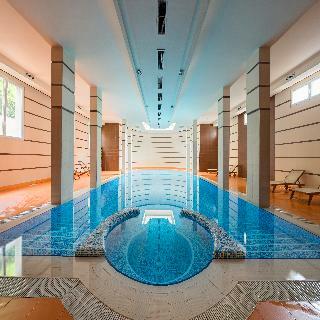 Guests have the opportunity to relax in the hotel's Jacuzzi and for an additional fee, in the sauna. The hotel's 130 seat restaurant is the perfect place to dine, on offer is a wide choice of Bulgarian, International and vegetarian cuisine. 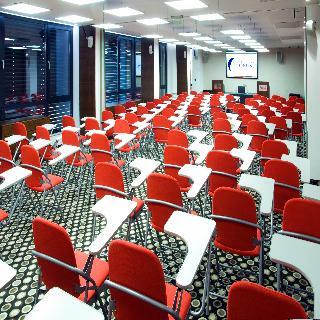 With a prime location, modern facilities, the latest technology, well-known brand, high quality standards, a well-trained and eager to serve you, the Best Western Premier Sofia Airport Hotel has it all. The new, upscale, 4 Star Best Western Premier Sofia Airport Hotel is ideally located at the new business district of Sofia, just 0.5 kilometers from the Sofia Airport, offering convenient access not only to the city center but to several dynamic business centers, including the Sofia Airport Center (SAC) and the Trade Center Europe (TCE). Having the Sofia Airport Metro Station nearby, the public transport station at the doorsteps of the hotel and 24-hour taxi service, within several minutes, our guests have a variety of options to access administrative and business premises, shopping areas, dining, sightseeing, and a number of other places of entertainment. The Best Western Premier® Sofia Airport Hotel offers 155 spacious hotel rooms at the Sofia Airport, ranging from 25 to 40 square meters in size. Relax in all our spacious and stylish Premier King and Twin Guest Rooms, Deluxe Queen or our Business Suite Rooms. Enjoy your night's sleep in our luxurious Suite Dreams by Serta® bed which provides the perfect balance between comfort and support. Work in comfort at the spacious desk and relax by watching a program on the 32-inch LCD IP TV. Stay connected with complimentary Wi-Fi, in-room HSIA connection and to the office with our 24/7 business center, which provides remote printing, fax and copy machines. Each room also features a mini-fridge, minibar, adjustable air-conditioning, windows that open, complimentary coffee and tea maker, hairdryer, a laptop size safe and an iron and ironing board to make you feel at home. Work out in the complimentary 24-hour Technogym® fitness center with an exceptional view of Vitosha Mountain.